Gene regulatory networks are critical at every stage of life – from embryonic decision making to constant maintenance of intercellular protein concentrations. Rapidly evolving tools in synthetic biology have allowed for the engineering of new cellular signaling pathways but optimizing their performance remains a challenge. This is due in part to the difficulty of designing around contextual effects, i.e. shared resources, signaling delays, and stochasticity, that affect gene expression dynamics. The inherent complexity of the cellular environment has presented many challenges towards predictive modeling of even the simplest networks. In this talk, I will present methods of overcoming contextual effects in synthetic gene circuits through applications and extensions in control theory guided by experimental work. The approach considers design at all levels from general network structure motifs to the choice of components in circuit synthesis. At the network level, I demonstrate the benefits of parallel pathways in feedback when delays are present. In particular, I will discuss the derivation of an effective stabilizing controller for a single gene oscillator with a large feedback delay, a system for which traditional methods in feedback design do not apply. Furthermore, I will discuss the predictive modeling of spatio-temporal patterns in a multi-cellular bistable system, the dynamic response of several genetic logic gates, and the role of component design choices in a single-gene oscillator. Finally, I will show how these insights will allow for rate optimization of an enzymatic pathway for biofuel production. Ultimately, the extension of control and dynamical systems towards synthetic biology applications will enable the robust regulation of heterologous networks independent of environmental context. 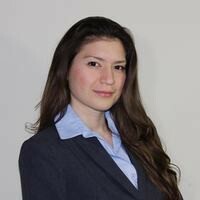 Marcella M. Gomez is a postdoctoral fellow at the University of California, Berkeley in Electrical Engineering and Computer Science. She received her bachelors from UC Berkeley in 2008 and her PhD from the California Institute of Technology in 2015, both in Mechanical Engineering. In her research, she combines theory on control and dynamical systems with synthetic biology tools to further our understanding of natural and synthetic gene regulatory networks.